Diabetes & Periodontal Health - Dr. Isaac Comfortes, D.D.S. Dr. Isaac Comfortes of Encino, CA is on a mission to improve the overall health of his patients with optimal oral health. One of the closest links between oral health and systemic disease is the connection between gum disease and diabetes. The relationship is a bidirectional one with diabetes significantly increasing the individual’s susceptibility to gum disease, which in turn, exacerbates diabetes. Even if you have not been diagnosed with diabetes, a chronic condition of gum inflammation will increase your risk for diabetes, cardiovascular disease, and a host of additional systemic diseases. When you have high blood sugar from diabetes, the saliva in your mouth contains more sugar. This helps harmful germs and plaque grow. As plaque grows on your teeth and down tooth roots, bacterial infection irritates your gums and bone tissue. Gum redness, puffiness and any bleeding should be taken seriously as a sign that damaging periodontal bacteria are present. If left untreated, gingivitis will advance to periodontitis, and this advanced bacterial infection will continue growing in severity. Advanced periodontitis destroys bone and gum tissue, and causes tooth decay. It can eventually result in tooth loss. Diabetes is an inflammatory disease made worse by bacteria circulating in the body. Diabetics tend to have more incidences of gum disease. Diabetics tend to have more chronic gum disease. Diabetes makes it more difficult for your body to fight infection. If you control your blood sugars well, you will be less likely to have gum disease. How can Dr. Comfortes help? 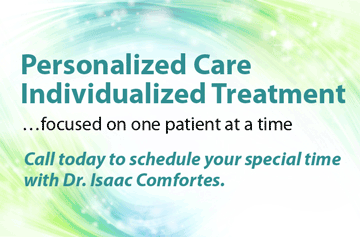 Several of Dr. Comfortes’s patients know first-hand that a negative health cycle can be reversed into a positive one. In addition to improved nutrition, regular exercise, and regular medical exams, everyone should be conscientious about good oral hygiene and regularly visit their dentist for professional teeth cleaning and checkups. 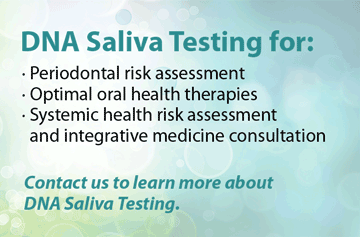 Dr. Comfortes was one of the first dentists to partner with Oral DNA Labs to offer his patients Oral DNA Saliva Testing in Our Office (salivary diagnostics) that identify specific bacteria in a patient’s mouth. In addition to salivary DNA diagnostics for oral pathogens, Dr. Comfortes offers state-of-the-science treatment for periodontal disease, appropriate health counseling, and referral to a specialist if needed. Repeated DNA saliva testing at intervals will allow Dr. Comfortes to monitor the level of infectious bacteria in your mouth and treat you appropriately when needed. If your gums bleed when you brush or floss, the bleeding is a sign of gum disease. 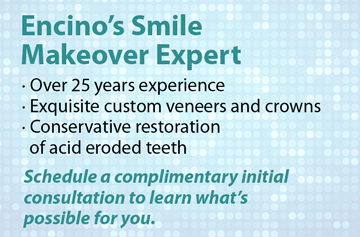 Dr. Comfortes is on a mission to eliminate bleeding gums and lengthen your life. If you have tender, puffy, red and/or bleeding gums, you need to make a dental appointment immediately. We welcome new patients and take very special care of our patients with diabetes. 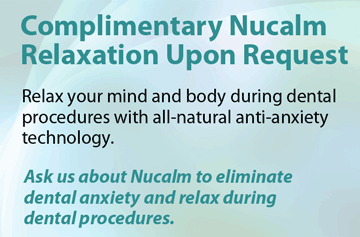 We invite you to give Total Health Dentistry of Encino a call today – (818) 990-9101.